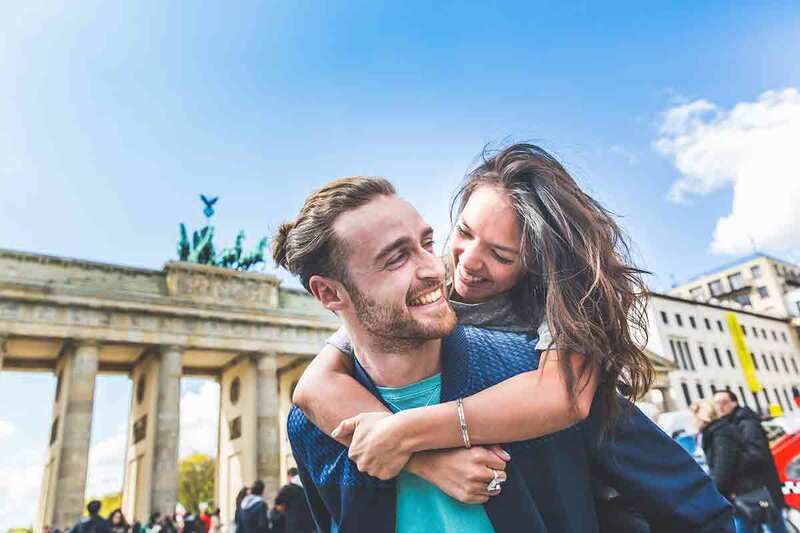 21 day European Inspiration tour with Contiki, including breakfast daily, accommodation, escorted tour guide throughout, dedicated, air-conditioned transportation, in-depth sightseeing and more. France, Italy, Austria, Germany and Switzerland. Need I say more? 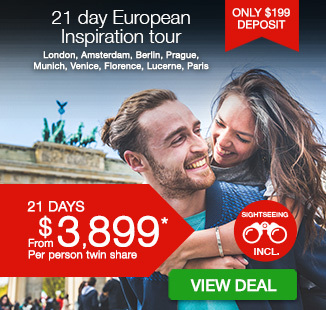 Get ready for the European adventure of a lifetime with a jam-packed 23 day European Inspiration tour. 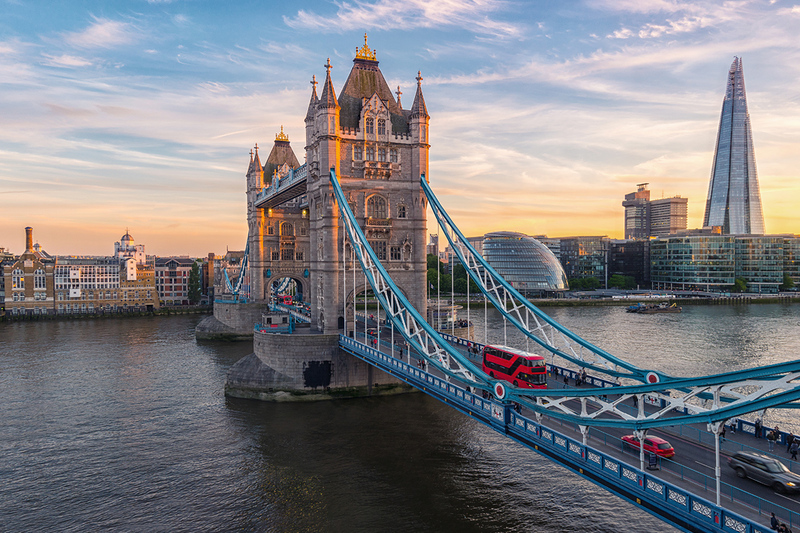 Wave hi to Queen Lizzy as you take a tour around her home town of London, before hopping aboard your Contiki bus bound for Amsterdam. Bar crawl your way along the famous Red Light District and visit a local clog and cheese making house. 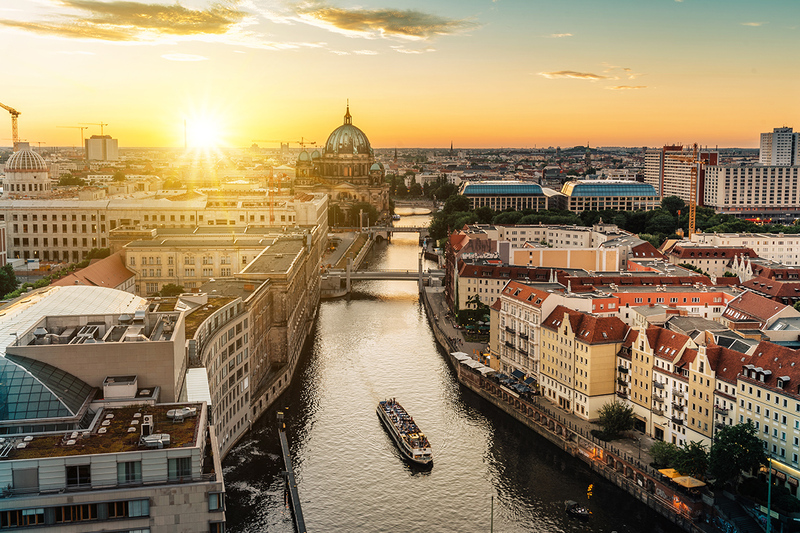 It’s time to say Guten Tag as you explore the uber-cool German city of Berlin. Check out Checkpoint Charlie, the Berlin Wall and more, before heading on to the beautiful city of Prague. Venture back to Germany where you will take a sobering visit to the Dachau concentration camp memorial. 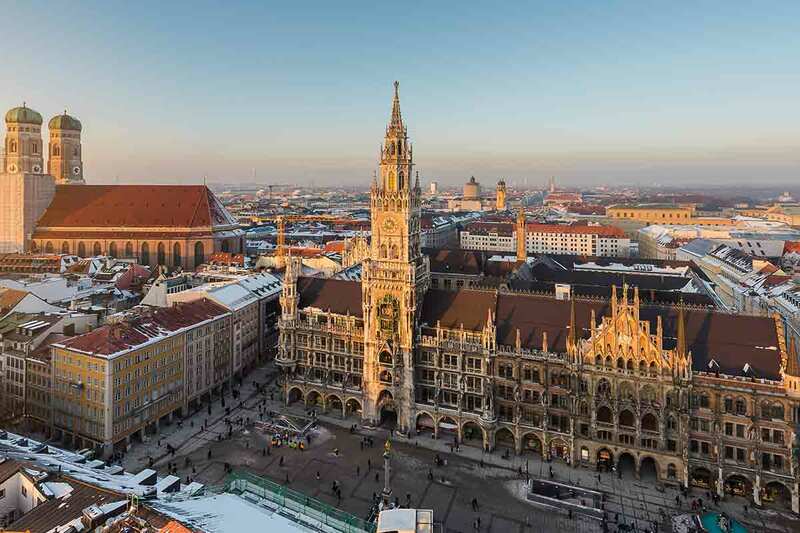 It’s time to lighten the mood with a festive visit to stunning Munich. Take a trip to a traditional beer hall and dive deep into the culture and urban life of this gorgeous city. 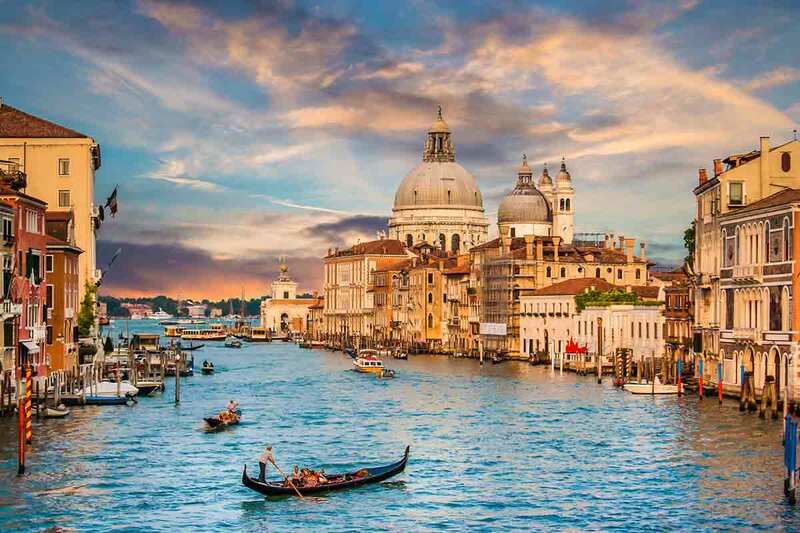 Next stop is Venice, the gorgeous floating city that is lined with canals and cobble stoned streets. Roamin’ in Rome is next up on the agenda, with the opportunity to stuff yourself full of pizza, pasta and gelato, too good to resist. Wine and dine your way through antipasto boards and vino in the beautiful Chianti Region, before starting your Tuscan love affair in Florence. 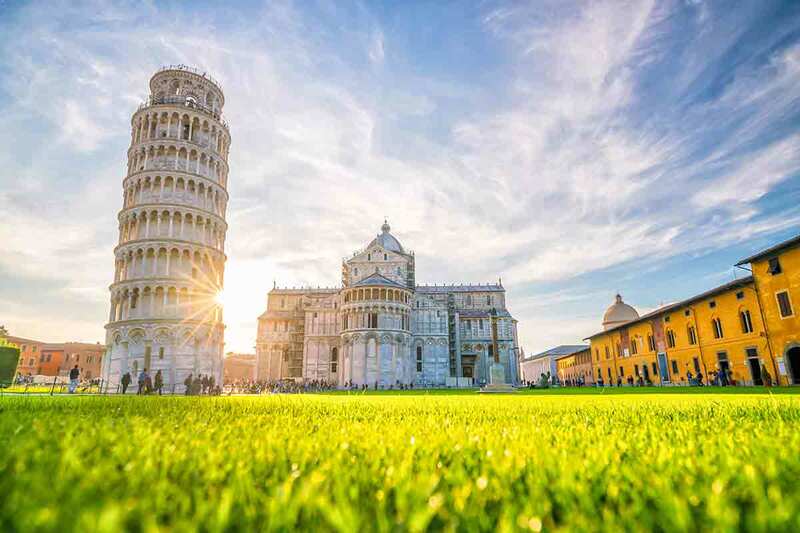 Get that #AwkwardLean photo at the Leaning Tower in Pisa and say hello to more cheese as you arrive in the Swiss town of Lucerne. Finish your incredible trip in the city of looveeeee, Paris, before saying Au Revoir and heading for home. Yourheart-pounding adventure kicks off today. 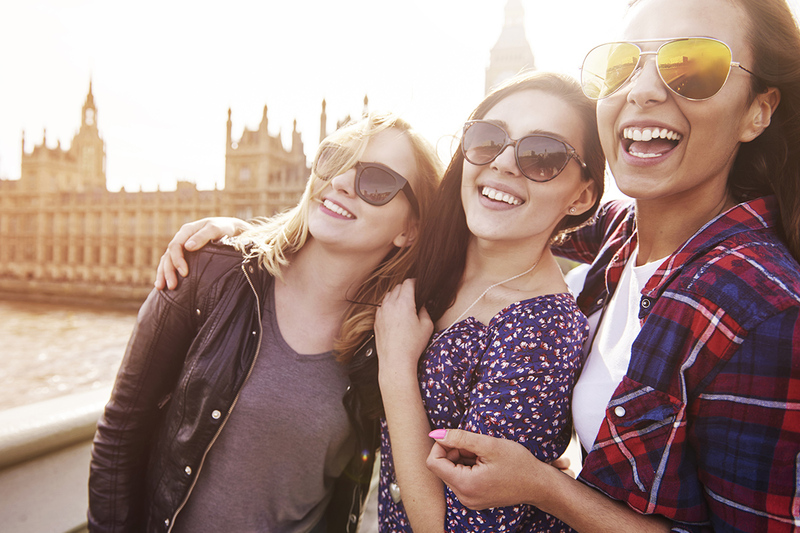 Meet up with your Contiki posse & share notes on London town before hitting the road to Amsterdam. Shortly before we find our ferry for Europe, we’ll be taking in the English coastline beauty of the White Cliffs of Dover. They owe their gorgeousness to their composition of chalk – you’re learning and we haven’t even left the UK! Off the ferry we arrive in the port town of Calais – French soil! We travel north via Belgium before reaching … Amsterdam! 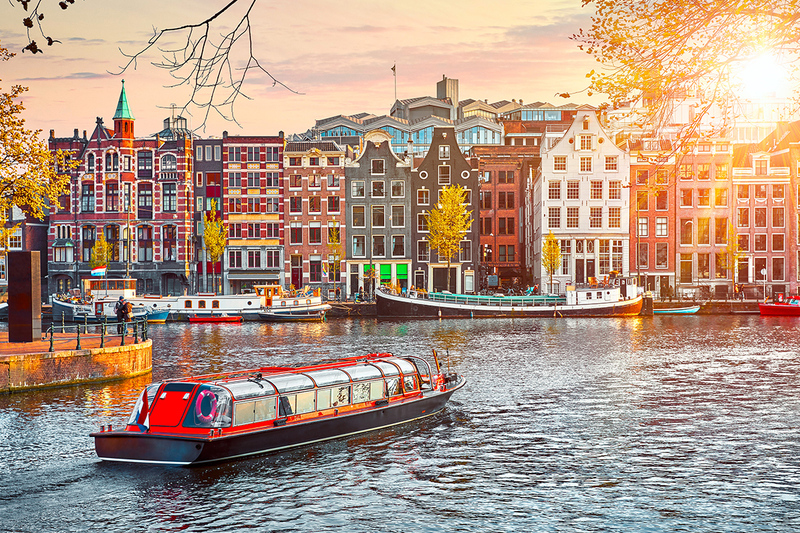 Cross off another country off your list as you cruise through Belgium on your way to Amsterdam. Tonight, the famed for fun Amsterdam is ours to explore. An undisguised Red Light District & plenty of bars are there for the curious. 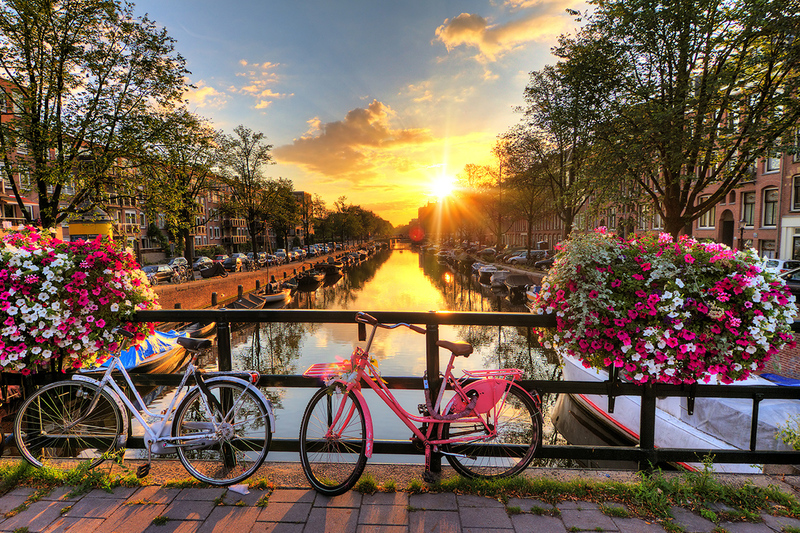 Amsterdam is cute as a button & sure to win your heart with its canals, obscure museums & a café culture like no other. You know the cheese, and now you’re going to know the place that pioneered it. This morning we’ll head into the beautiful countryside for a taste of tradition, as we visit a local clog and cheese makers house. This afternoon use your time to get local, bar hop, museum crawl, and see what other tastes take your fancy, this town is famous for pancakes, frites and so much more. Out of Amsterdam, onto the autobahn and on the fast-track to uber-cool Berlin. That’s on today’s agenda. On the world map of cool party vibes, Berlin has a gold star. We’ve got two nights to explore every inch of this amazing city, and we’ll kick it off with a bit of history into the city and its troubled and interesting past. Once we arrive your Trip Manager can point you in the right direction to go and see the sights. “More city hangs” you’ll all scream in unison as we motor out of Berlin, high on life & still wanting more. 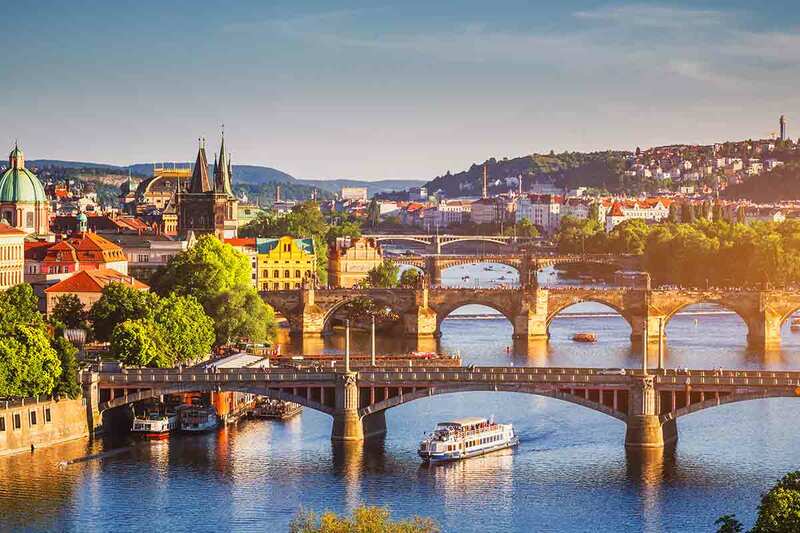 Since you asked so nicely, let us present you with Prague, the darling of Europe. 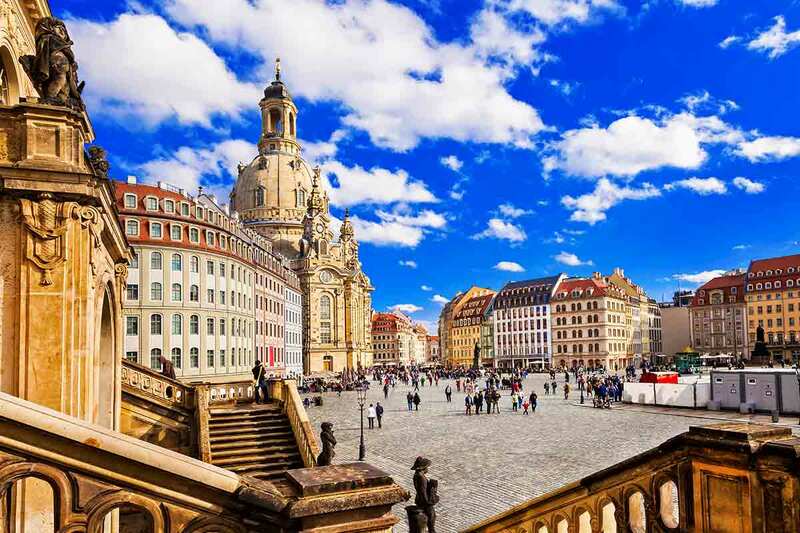 A drive from Berlin to Prague would not be complete without stopping in Dresden. Destroyed by World War II, the rebuilt town is now a symbol of resilience, soaked in the rebirthed beauty of an Opera house, the domed Frauenkirche, & the Royal Residence. 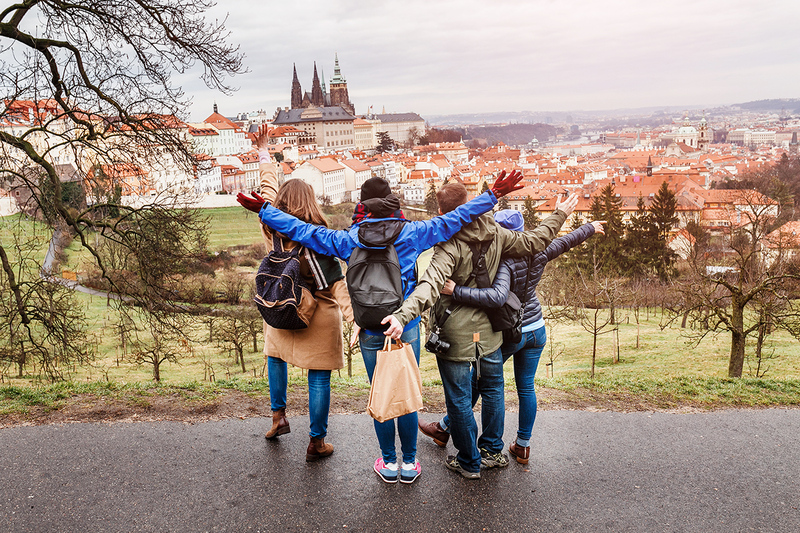 On arrival in the compact & lovable city of Prague, we’ll get out and go exploring, seeing castles and cathedrals and learning of Bohemia Kings and gothic history. The night is yours to amble around the Old Town Square and find a few haunts to let the hours slip away in. We warned you about falling head over heels for Prague! Sorry team, you cannot live here forever. Unless….? After departing Prague and journeying out of the Czech Republic, we traipse into Germany and have a change of mood with a sobering visit to the Dachau concentration camp memorial. Vibes will be lifted a little later when we arrive in the city of Munich. It would seem we were born in need of some delightful Bavarian culture, we just didn’t know it until now. Munich may be famed for its Oktoberfest festivities, but the spirit of things kicks on year round. A trip to a traditional beer hall will get you very well acquainted with things, just after you’ve swooned at a Gothic clock complete with 32 dancing figures and 43 chiming bells. Today is the day to dive deep into Munich’s cute culture and urban life. Take an optional guided bike ride to really get off the beaten track, or just roam the old town and the buzzing streets and cafes of the university district. Goodbye Munich, hello mountains. We’re hitting the road in search of lands so sweet they made The Sound of Music. This part of the world is famous for adventure sports, so best put your name next to the optional White Water Rafting and get in the spirit of things. Passionate lands abounding in fresh pasta, smooth locals & romantic architecture – we’ve arrived in Italy! 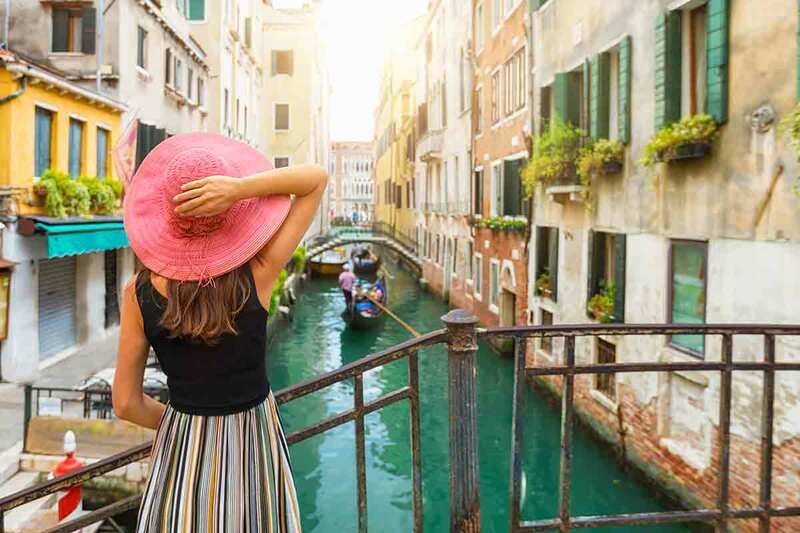 Relax in Venice tonight knowing we have all day tomorrow to cruise canals & explore pretty streets. Wake-up sleeping beauties! Venice is yours for the entirety of this glorious Italian day. We’ll be jumping aboard our own private boat and hitting the canals en route to the historical heart of the city. A guided walking tour and a gondola ride are up for grabs, or you can always choose to get lost on your own and see where the maze takes you. Farewell floating city, but Italy, we’re not done with you yet, our next destination the Eternal City of Rome is just around the corner. 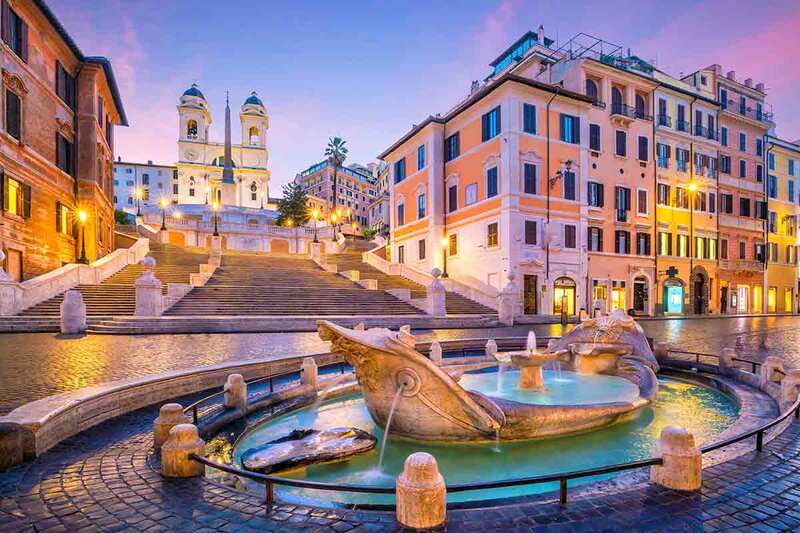 The evening will really take it up a notch as we uncover Italian icons in the country’s capital of Rome as you get a glimpse of its glory by night. Gelato, pizza and ancient monuments – perfecto! Cast your eyes on Rome one last time before we hit the road on the hunt for Tuscany. Which, if we’re completely honest, means going on hunt for antipasto and unimaginably good vino. Saying goodbye to Rome doesn’t feel to bad now, does it? A working winery in a 16th Century villa – ladies and gentlemen we presume we have your attention! Here in our ever so elegant stop off we will learn about the region’s wines and check out the old cellar and vats of the winery. And we guess you should try a bit of Chianti & eat some antipasti…since we’re in the neighbourhood. Florence, the capital of Tuscany, is more proof that Italy has so many great places packed into one small region. Potter along the River Arno, be totally Tuscan with another drop of Chianti wine, and take in the beauty of the city and its protruding Duomo Cathedral. We have all day tomorrow to let the explorations continue. Today is a perfect balance of guided wisdom and free time to roam. We’ll uncover the beautiful art of traditional leather & explore streets bursting with heritage. Take to the local markets, down some gelato & make yourself known for the evening of optional festivities. Say a fond farewell to Italy, and hello to the land of creamy chocolate, cheese and not to mention watches. Hello Switzerland! As if we were going to leg it from Florence to Switzerland without a sneaky side trip to the Leaning Tower of Pisa. Depriving you of the chance to perfect the holding-up-the-tower shot would be down right criminal. Swans float under wooden bridges, snowcapped mountains stand regally behind us & chocolate tastes like heaven on earth. You’re in the Swiss Alps & you cannot wipe the smile off your face. Eeek!!! There’s no reason why today can’t be wasted strolling these beautiful streets or sitting in a coffee shop pondering mountain life, and consuming more chocolate – that’s perfectly acceptable too. However! Those wanting to spice up their day can visit the top of a Swiss Mountain and enjoy a fondue lunch & show. Spoilt for choice much? 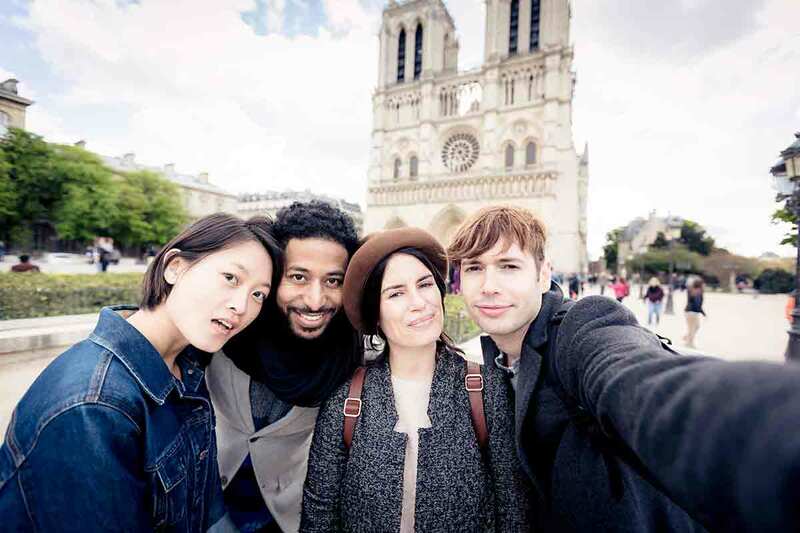 Out with the altitude, in with the inner-city Parisian bliss. Once we’ve crossed the border out of Switzerland we will be coasting through the pretty wine producing region of Burgundy before our arrival in Paris. Lamp-lit bridges, a sparkling Eiffel Tower, & evening coffee haunts, tonight we fall in love with everything Paris. Our Trip Manager fills us in on the city’s secrets, then to celebrate our first night in the city, we’ll head up to the viewing platform on Montparnasse tower.